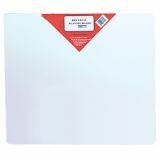 Dry Erase Board, 18" x 24"
Dry Erase Board is smooth, durable and economical. Unframed, this board costs a fraction of most markerboards, and they work great. 18" x 24". 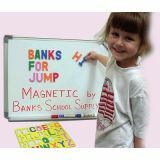 Dry Erase Board is smooth, durable and economical. Unframed, this board costs a fraction of most markerboards, and they work great. 24" x 36". 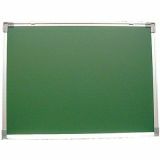 Dry Erase Board, 36" x 48"
Dry Erase Board is smooth, durable and economical. Unframed, this board costs a fraction of most markerboards, and they work great. 36" x 48". Must be ordered in multiples of 4. High quality board is frame less and inexpensive, while providing the maximum in performance and value. All boards sport radial corners lending a sophisticated, contemporary look to office, home or school. Pack of 12. 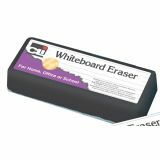 Get 12 new surfaces with this one eraser. When you require a new erasing surface just peel off the top layer and your back to work. For any dry erase surface. 5" x 2" x 1 1/2". This is the best! Marks darker, longer and erases easier. 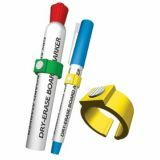 Safety cap that fits on back of marker when in use. Clip on cap for shirt or briefcase. Low odor and non-toxic. 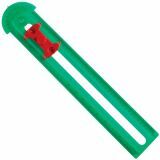 Conforms to ASTM D4236 & EN71-3 Set of 6: 3 Black, 1 Red, 1 Blue and 1 Green. Plush surface removes markings quickly and cleanly. Ideal for use on all dry-erase surfaces. Cleans with soap and water for long life. 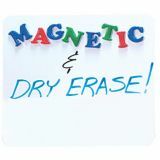 Magnetic Dry Erase Board, 24" x 36"
Magnetic Dry Erase Board combines two useful features in one economical board. 24" x 36". Slides or clips easily onto most markers! 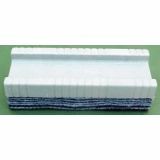 Long lasting durable plastic! 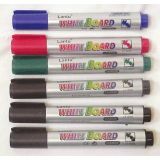 Fits on most dry-erase board markers by simply sliding them onto the barrel. 6 per package.